Starting at Tom's Moorings and finishing at Tom's Moorings with overnight stops at : Shushions Bridge No 21, The Anchor Inn (Cross Green), and Shebdon Visitor Moorings (The Wharf Inn). A total distance of 66 miles, 4½ flg and 14 locks. Which wich is which wich? From Wheelock Visitor Moorings to Nantwich Visitor Moorings (South), a distance of 19 miles, 7¼ flg and 9 locks. It was another damp morning when we set off on our way back, wetter than Saturday morning and it really didn’t look like it was going to change much at all, so we envisaged just being rather damp by the time we moored up for the night. Not many boats were on the move, and you could hardly blame anyone for not moving, and we had a pretty uneventful trip back to Middlewich Junction by which time it had stopped raining but it was still quite overcast. 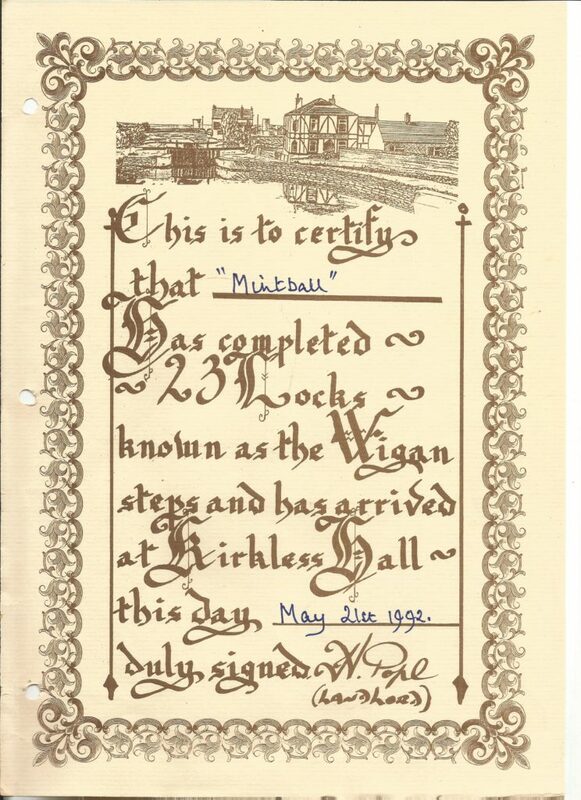 When we were in King’s Lock No 71 I walked round onto the Middlewich branch to see what was going on with the lock and found it full with a single handed boat sitting in it adjusting his roof furniture, however when he saw me he moved out of the lock and moved onto one of the moorings. We worked through the lock and were chugging slowly through the visitor moorings when a hireboat pulled out in front of us – and that was the start of the queue we were stuck in for the entire length of the canal. Once again several of the boats were very short on crew so we ended up helping most of the queue through the locks. We stopped for brunch on the Eardswick Visitor Moorings taking a calculated risk about moving boats and where we would end up in the queue at Minshull Lock No 2, and as it happens it really made no difference at all and it took about an hour to get through the lock when we got there. The queue had a varied mix of crews – people from the UK, a crew from New Zealand, a crew from Los Angeles and Hawaii and everyone was well natured and chatty, although the pigs in the farm by the canal sounded far from happy. The weather had been slowly improving since Middlewich and by now the sun was starting to show and burn off the low cloud and it was starting to turn into a nice day. Barbridge Junctionwas it’s usual madness – we saw a boat do a three point turn in the junction without sounding their horn at all so we approached with caution. We sounded our horn and waited for a reply and hearing non we edged forward with a lookout on the front deck, and it was a good thing we had one because as we nosed out through the junction a boat came straight through on the mainline without stopping and he looked extremely annoyed when we pulled out immediately behind him. We made slow progress to Hurleston Junction but from there on we made good time and easily found a spot on the visitor moorings. We walked along the canal to Davids Bridge No 90 and took the Nantwich Riverside Walk route into town where we had several good beers and a good meal at Naaz before wandering back up Marsh Lane to the canalbank and back to the boat. It was slightly later than planned when everyone woke up – I guess the fresh air, exercise and beer really did its stuff. It was a bit damp when we opened the doors and got the engine started and we waited for a couple of minutes before casting off to allow a couple of boats to go past and get a little ahead of us. We were passing Church Minshull Visitor Moorings when a boat came up behind us and the woman on the front desk shouted at us that they wanted to come past. We replied, quite civilly, that there were two boats in front of us and we were simply keeping pace with them. They got more and more insistent that we let them past so we slowed down and pulled over and told them that they had until the next moored boat to get past us. He sped off dragging a breaking wash and we let him go. When we got to Stanthorne Lock No 3 they were exactly where we knew they’d be and where we’d told them…. stuck behind the two boats that were ahead of us. The woman holding the boat just ignored us but we learned that they’d been boating continually for 8 years … you would have thought that they’d have learned that speeding on a canal gets you nowhere. We had to queue to get through Wardle Lock No 4 but everyone else turned left to go down the locks so we were able to go straight into King’s Lock No 71 … well I say straight in : there were boats double moored on the offside and a boat moored on the towpath between the lock and the junction so things were a little tight. It was all quiet at Rumps Lock No 70 and we were just about through it when a boat turned up to come down, but by the time we got to Booth Lane Bottom Lock No 69 we were at the tail of a queue of about 5 boats, many of which only had a couple of crew on them. We decided to put our crew onto the bottom lock and the middle lock to help work the queue through, which was much appreciated by several of the boats. The pound above Booth Lane Middle Lock No 68 was down by several inches – apparently one of the two boats which had been causing the queue had left the paddles open at both ends, but there was enough water to get up to Booth Lane Top Lock No 67 were it was good to be able to shelter under the large trees that overhang the lock. The pound above the lock was down a little which considering its a three mile and a bit pound was a little worrying but we made pretty good time to The Cheshire Cheese PH. We went past the pub, through Wheelock Bottom Lock No 66 , turned at Wheelock Winding Hole and back through the lock before returning to the visitor moorings for the night. It’s about 1.2 miles from the canal to Sandbach and we thought we might have a drink in the Cheshire Cheese before heading up the hill into town but it was being refurbished so we couldn’t. It’s not a bad walk to Sandbach but it was extremely warm and humid so it was a little unpleasant. 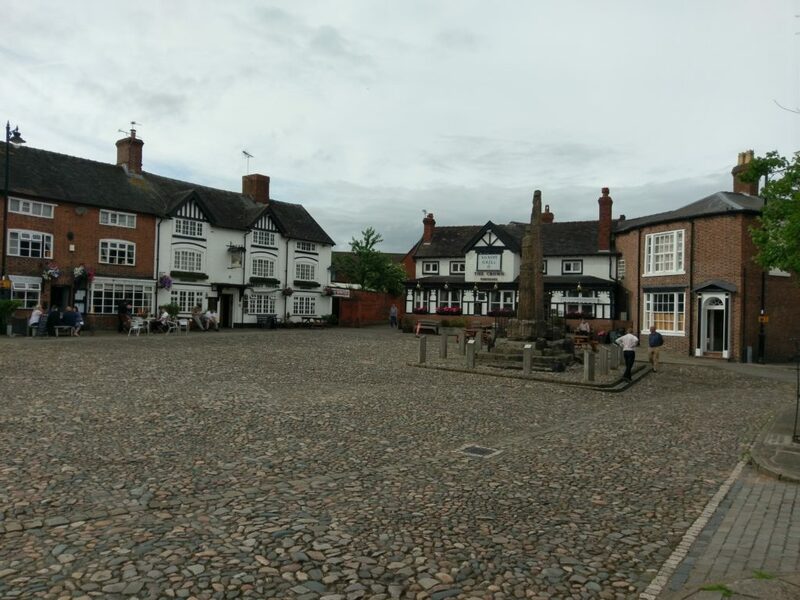 However it was worth it as Sandbach is a very nice little town and its market square is extremely impressive. They have 6 real ales – three regulars and three guests, and all the ones we tried (in the two visits we made) were in very good form. We also visited some of the pubs round the market square and also The Beer Emporium which is a shop that sells an impressive range of bottled beers and also has several on draught. We had a good meal at the Eastern Spice which isn’t licensed but you can bring your own alcohol. So all in all a great place to visit and one we plan on visiting again now we’ve finally made it after all these years. We walked back to the boat but there is a bus that runs from Sandbach and down to the canal on its way to Crewe (the 38 service with the last bus leaving from On the Common at just past midnight) which is worth knowing about. Starting at Tom's Moorings and finishing at Tom's Moorings with overnight stops at : Hoolgrave Bridge No 11, Wheelock Visitor Moorings, and Nantwich Visitor Moorings (South). A total distance of 63 miles, 4½ flg and 64 locks. 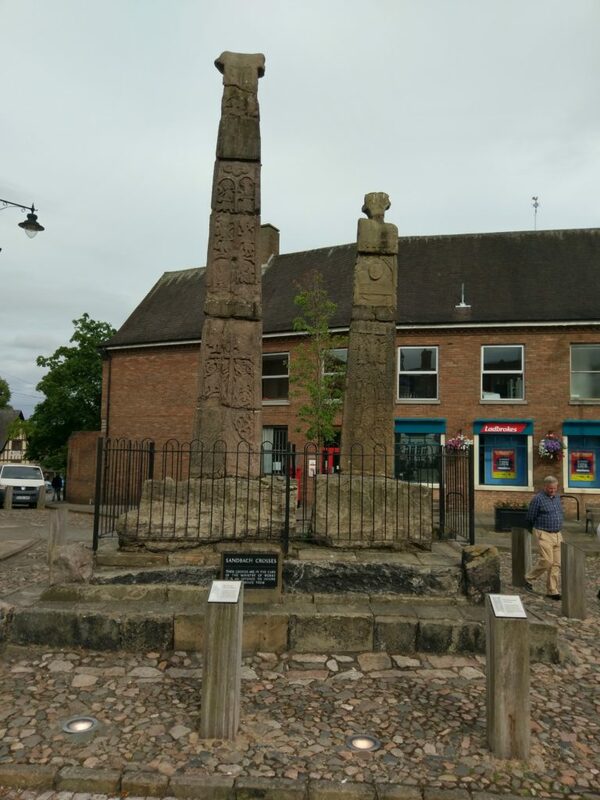 After an easy drive up on Thursday night followed by a wander round Market Drayton which ended up with all soaked to the skin in a rather unexpected and sudden rainstorm we made a relatively early start, eased out of the moorings and headed north under rather gray skies. 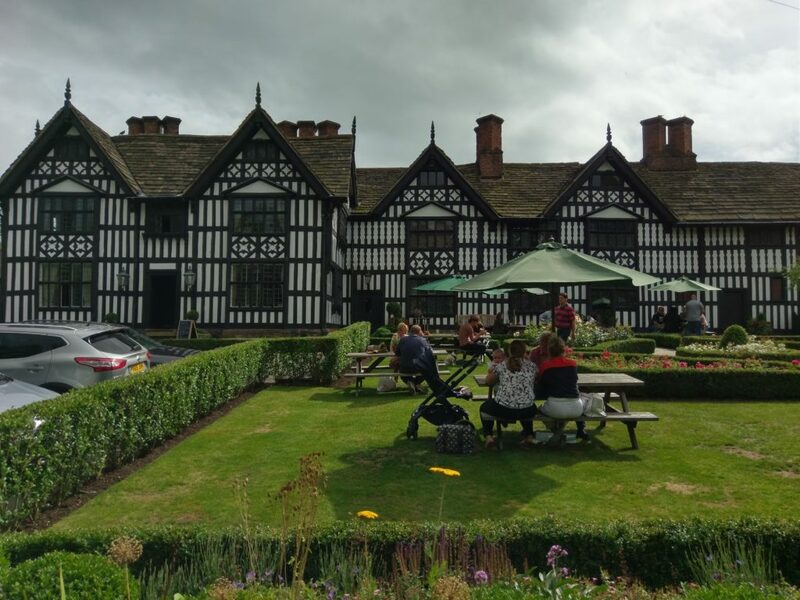 Our plan was to reach Church Minshull and The Badger for the night, stopping for the odd beer along the way. We’d decided to try an experiment with the new inverter and had brought along a cheapish slow cooker – Nick threw all the ingredients into it and turned it on and it started warming up. As the power still hasn’t been hooked up on the moorings the batteries needed a lot of juice putting back into them and we were charging at about 40 amps for a couple of hours before it started to drop. We stopped just before Adderley Top Lock No 8 for breakfast and, after buying some bacon from Adderley Farm Shop, we headed down the locks. We met a couple of boats coming up but things went smoothly and we made quite good progress. We were waiting above Audlem Lock 3 No 15 as there were a couple of boats ahead of us including a single hander who was waiting in locks for the next one to get ready before moving out and an Alvechurch hire boat came steaming down the pound and wanted to know if we were “waiting for the lock” …I said yes and they pulled in behind us. We waited for a boat to come up and then I moved into the lock and immediately they were asking if I was “working alone”. I said I wasn’t and that my crew were helping move other boats through and would be there in a minute. We had to wait for a bit at Audlem Lock 9 No 21 as a boat coming through lock 10 had lost its chimney and was looking for it. We made good progress through the rest of the locks and down past Coole Pilate Leisure Moorings which were pretty much deserted. It was late afternoon when we got to Nantwich Junction Bridge No 92 and it seemed to take forever to go past all the moored boats. As we were passing Nanneys Bridge No 8 Peter Stockdale leapt out and waved at us. By now the canal was quiet and as we passed Aqueduct Marina it became obvious that everyone else had given up for the night. The pork which had been cooking in the slow cooker all day was very good and we washed it down with a bottle of Pinot Noir. Mintball has had an inverter since she was launched. The original one was a 70-100 Watt one from Maplin which was good enough to power things like dad’s shaver. Then we replaced that with a 300W UPS which worked well but was a bit too big. We then went to a 700 watt one and that allowed us to put in a full sized mains fridge ( see Gas and Electricity ). 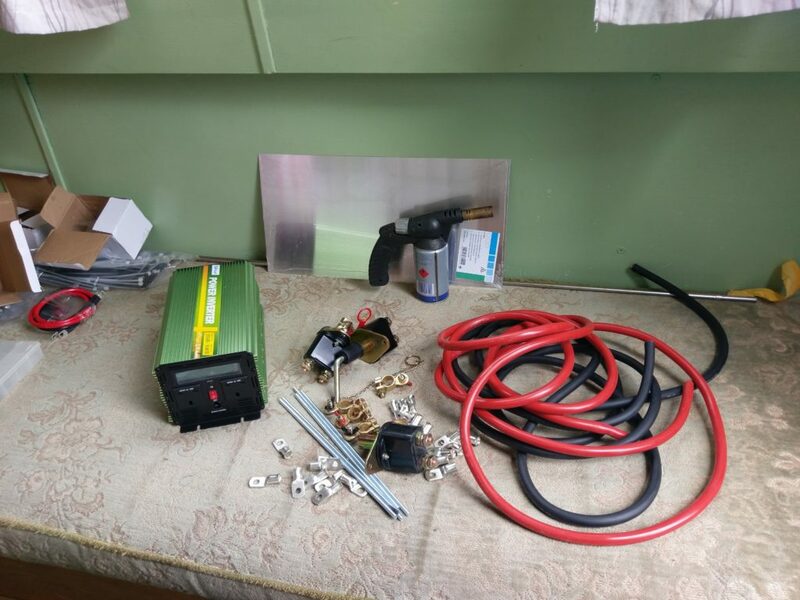 This Easter that inverter died – it smelt of burned electronics and complained of low voltage input even when the engine was running. We also picked up some new Battery Master Switches – the plan being to move the BMSs to the Positive lines (rather than having one single one in the Negative). 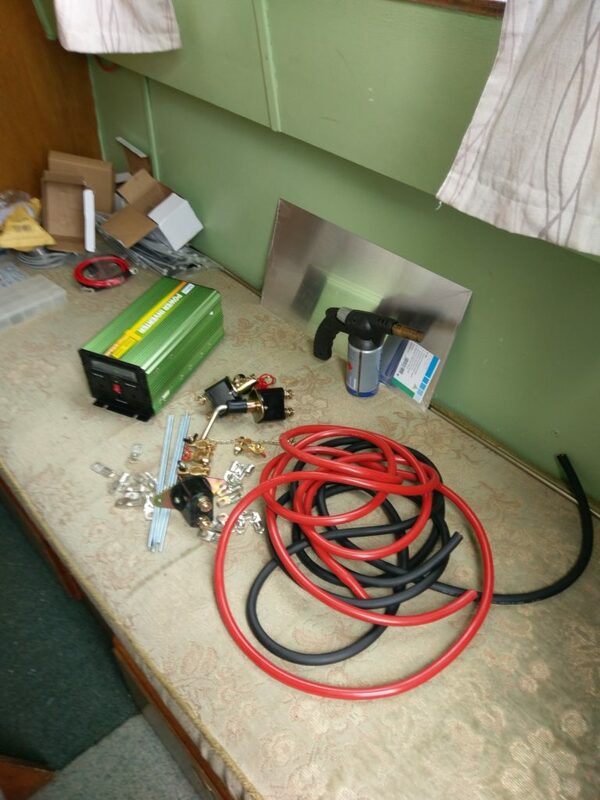 We made up a new set of cables with brazed connections and redid quite a bit of the existing wiring to tidy things up and improve things in general. 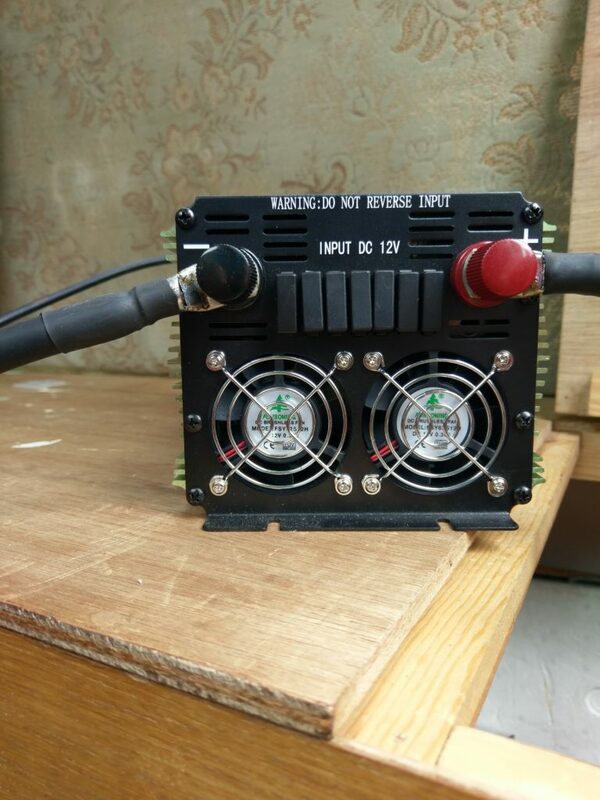 We wired up the inverter (which has a bank of fuses across the back rather than one big fuse) and powered it up. The old inverter had a connection for a remote control which we’d basically used to allow us to use a couple of small switches to turn the inverter on from the middle and front cabins, however this inverter comes with a rather jolly remote panel with a battery monitor and a on/off switch. We’ve put this control panel in the kitchen so you can do the whole power up inverter and then power up the fridge all from one central location. We actually powered the fridge up without the engine running which is something we couldn’t have done on the previous inverter. The real test is in just under a week when we take the boat out for a few days. Progress, all be it quite slow progress, is being made on turning the old typewritten logs into logs on here. There have been a lot of problems with scanning/OCR but we’ve now got it to a point that the majority of text is usable. 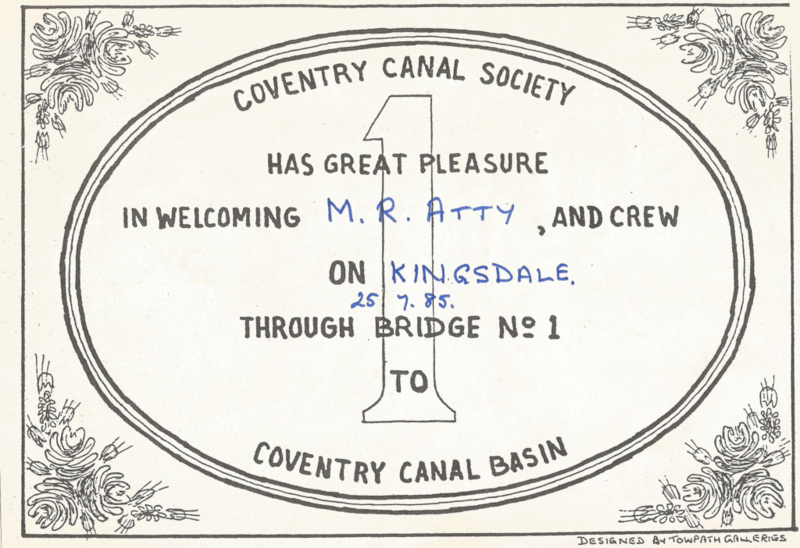 Also we need to read through each log closely to look for what route was actually done – for example one trip on the Trent involved detours up to Nottingham County Hall and also to Sawley Marina which wasn’t immediately obvious. 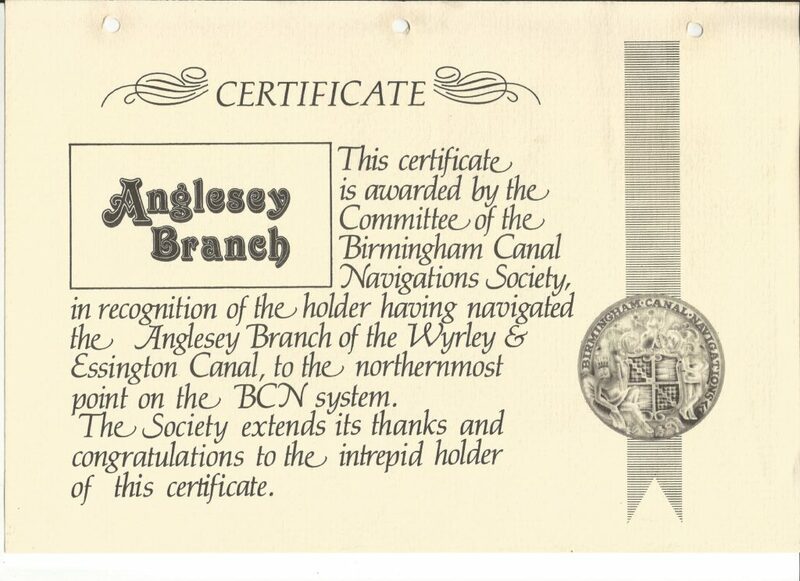 We’ve also found that some of the locations mentioned in the logs don’t exist in Canalplan (hire bases that have closed down and vanished totally) which means we need to create new places in Canalplan and then wait until we can get those places into the blogs so we can then manage the route correctly. The first two logs from our early canal holidays are now up and on-line. They’re pretty minimal with not a lot of detail and no photos- although I’m hoping to find some contemporary photos to add to them. I’m going to add some more logs in the next week or so, I just need to adjust the scanning / OCR as its not working quite as well as I hoped – but some of that is down to the typeface from the typewriter, a fading of the ink and some yellowing of the paper. Later blog entries are in a heavier more readable typeface and have more detail. Clearing out our parents house after our mothers death we have collected together all the “canal logs” that she kept, dating right back to our first trip on a boat from Anderton Marina : we were going to go up the Llangollen but we found out when we’d already headed off in that direction that the canal was closed and we ended up doing Heartbreak Hill and Bosley locks instead. We are planning on OCR’ing them, scanning in the various diagrams and extra bits from the logs themselves (such as fliers, licences, permits etc), and scanning relevant photos from their prints and then loading them up onto here as a permanent archive. Rather than clutter up the existing Trips section we’re planning on creating two new trip pages – one for “historic” logs for trips taken on Mintball and one for trips taken on boats before we got Mintball. The Canalplan Plugin has already been modified to support this feature and we’ll probably start on the scanning and conversion work in December.